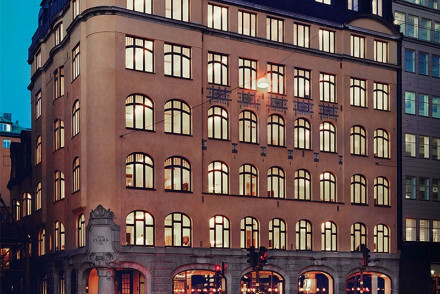 When it comes to choosing the best places to stay in Sweden Stockholm makes for a great city break, summer or winter. And the whole country is ideal for families, with easy to drive on roads, good public transport and of course all that fascinating and dramatic Viking history. There's also the unusual cold climate fauna and of course Lappland, with its nomadic Sami traditions and that guy with the red suit with the white fur. Sweden's natural assets are exceptional, this country is spectacularly beautiful, a wonderful landscape against which to sail, hike, cycle, fish, camp, or whatever else you like to do outdoors. But this is also a country which makes the best of itself in every way. Buildings and public spaces are designed with great care, the priority being functionality and simple, but aesthetically pleasing lines. 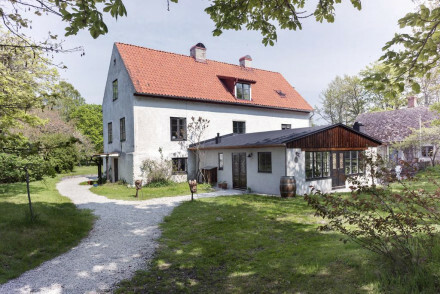 Many Swedes bring this care into their dress and their own homes and it is certainly evident amongst the best places to stay in Sweden too. Sweden is so well set up for adventurers that even in the capital Stockholm there's plenty of action to be had. In summer one of the nicest things to do is to sail across the archipelago, maybe visiting an island or two, and possibly even spending a night under the stars. To the north are the hiking trails, and all around are land ripe for foraging - collecting berries and mushrooms is a bit of a national pastime. The Kungsleden, or 'King's Trail' is Sweden's most famous hiking and cross country skiing route, spanning 450kms from Hernavan to Abisko, and if you're here to pound a trail, this is the one to walk a portion of. If you're interested in Sweden's history visit the Foteviken Viking Reserve, north of Höilviken, which is a living reconstruction of a Viking Age village! Sweden has a number of wonderful open air museums, which are similarly reconstructed, or restored, ancient sites, often with accompanying indoor museums. Less well known than ship building and fish pickling, Sweden also has a number of glass blowing workshops, and Glasriket, 'The Kingdom of Crystal' is where you can find the largest concentration of workshops and factories. Built in warm yellows and oranges, Stockholm has got to be one of the world's most beautiful capitals. The city itself is small, with the old town, Gamla Stan and the Royal Palace, at its heart. So you can walk to most of the sightseeing highlights. And to most of the best design boutiques, glacially cool cafes and world class restaurants. 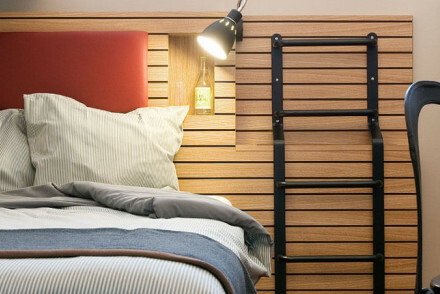 If you love Scandi design stay at Birger Jarl. Leading interior designers have been given free rein here, and much of the furniture you'll only have seen in style magazines. If you're looking for more historic elegance you might prefer the Grand Hotel. The public areas are grand affairs worthy of the Nobel Prize winners who stay here and one of the hotel restaurants has two Michelin stars. If you want to be close to nature, but also close to the city, Stockholm allows for it. 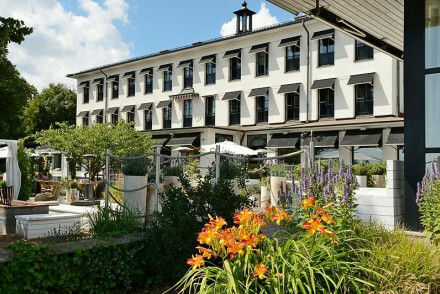 And Stallmastaregarden with its lake and natural park views, and Scandi designs in Swedish pastels is perfect. Known for its cycling paths and beautiful sunsets, Fårö has spectacular rock formations and a coastline riddled with fossils. 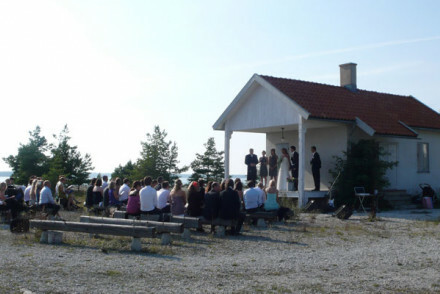 It's also got a famously remote lighthouse, a historic playground and one of Sweden's excellent open air museums. To the south of Fårö is Gotland, Sweden's largest island and home of Visby, a totally unique town key to Middle Ages trade. As well as this UNESCO Heritage Listed treasure, Gotland has over 90 medieval churches. Åre, which sits in a mountain valley by the shores of a beautiful lake, is one of the best places to stay in Sweden if you want to get out on the pistes. It is inundated with skiers and snowboarders in winter, and by extreme sports-folk in summer. It's also known for its spas - which tend to go hand in hand with high end ski resorts - and as a traditional reindeer herding ground for three Sami villages. So you can also expect to see plenty of reindeer. Still not sure? 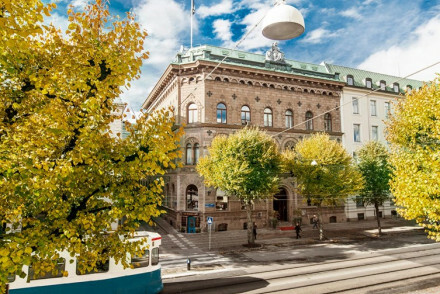 Browse through our list of all the best places to stay in Sweden, or contact, one of our friendly gurus for advice. 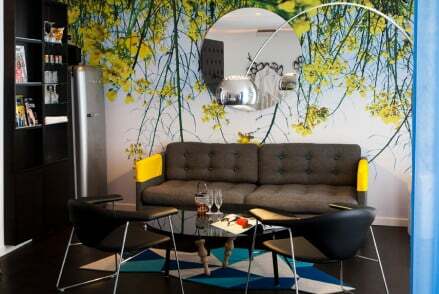 Situated in the centre of Gothenburg, a boutique hotel with interesting design and fantastic work spaces. Flora offers guests a trendy lobby, cosy terrace offering food and drink and unique spaces for meetings and showcases. Rooms are full of character and perfect for exploring this eclectic city. Perfectly located five star property in central Gothenburg. The hotel offers a charming restaurant, an English style pub and sultry Plaza bar. Bedrooms are well-equipped with comfortable beds, satellite televisions, toiletries and free WiFi. Cultural sites nearby. Luxury ski hotel, offering ski-to-door facilities, an award-winning spa, and five-star service. A range of rooms and suites available, including an exclusive villa which sleeps up to 16. Also on site is a bar, facilities for families and a swimming pool. The perfect place to enjoy the Åre ski area. 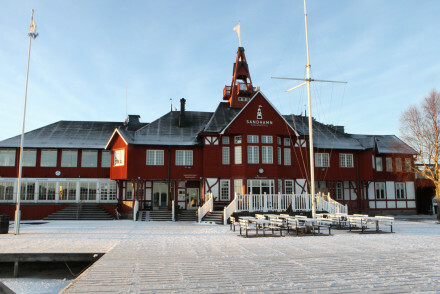 One of Åre's oldest institutes functioning as a hotel for the last 120 years. Lovingly brought into the 21st century with rooms featuring large sash windows, dark hues and blissfully comfortable beds. Evening activities will be taken care of with a bar, nightclub and restaurant. Mountain perfection. Active Holiday - Access to Sweden's best slopes plus multiple other mountain activities such as dogsledding, rafting and hiking tours. A stylish 4-star hotel in Ystrad, offering chic contemporary rooms adorned with artworks. With three restaurants, several bars and bountiful spa facilities, this is a hotel made for romantic breaks. Romantic Break - Drinking champagne by the pool, chocolate tasting or horse riding along the beachfront - romantic and serene. Swimming Pool - Heated indoor swimming pool and a heated outdoor pool. 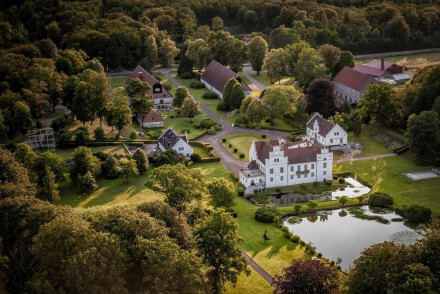 An elegant hotel in Skane, set in 18th century houses on the Wanas Estate, offering warm and rustic rooms with oak floors, artisan furniture, contemporary art and vintage pink tile bathrooms. 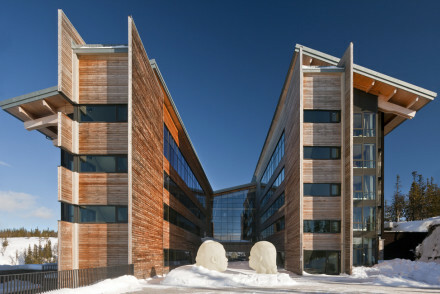 Featuring an exemplary Nordic restaurant and a sculpture park. Ideal for history lovers. Foodies - The fabulous restaurant uses organic and locally sourced produce from the forest and the on-site farm. Sights nearby - The 16th century Wanas Castle saw many battles on her land during the 16th and 17th century Danish-Swedish Wars. Great walks - There are many beautiful walks through the beech forest that straddle the hotel. 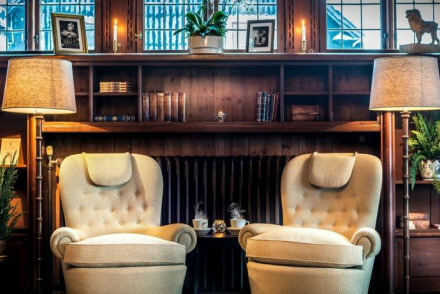 A smart, four-star hotel on Stockholm's archipelago. During the summer months, guests can enjoy contemporary, marine-themed suites and seafront apartments. Choose between four restaurants and bars, including the poolside Sea Club, or wind down in the luxurious hotel spa. A stylish weekend break. A truly unique hotel, cut into the ice of Northern Sweden. 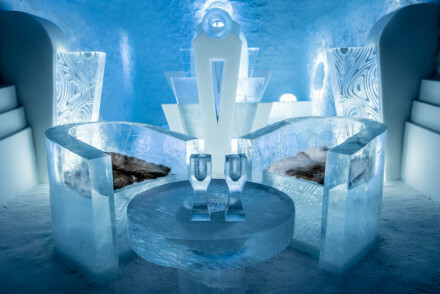 The rooms with ice beds feature stunning ice sculptures and elk skin blankets. Explore the wilderness through activities such as safaris, dog sledding and cross-country skiing. Warm rooms available for those who can't brave the chill. Back to Nature - Indulge in the unique experience of staying in the world's first ice hotel, in the wilderness of Northern Sweden. Romantic Break - For an unusual and romantic holiday in a secluded spot, surrounded by ice, with views of the northern lights. Sights nearby - Take an evening trip to view the Northern Lights.